22 Spartans turned up for the last walk of the year - a loop starting at Meelmore and going in an anticlockwise direction up Bearnagh, down to Hares Gap, up Slievnaglogh and back to Meelmore. To begin with we couldn’t believe the mild weather and hats and gloves had to come off as we made the steady climb to the col between Bearnagh and meelmore. It was quite windy but thankfully it was mostly behind us as we made our way slowly up Bearnagh. Once at the summit we did, however, experience the full blast of the icy wind - Sammy recorded gusts of 80+ mph - brrrr!! After a quick lunch we started our descent - a few spartans managed to get caught in one of the powerful gusts and suddenly ended up on their butts - thankfully no damage done!! There were a few other slips and stumbles along the way but eventually we all made it back to Meelmore in one piece. There we were treated to some festive goodies by the Spartans who were staying at the hostel for New Year. Jack bought 18 Spartans along the Antrim Way - or rather he started and finished with 18 but was down to 17 for most of the route as one jogged back to the car to look for missing keys. The day was foggy and threatening but the base lifted to give us a clear walk and reasonable views. More importantly the winds styed to our back and the forecasted showers kept away -- we even got some sun on the road descent into Glenarm. The Antrim way is well marked through the hills here and the Geological society had put up several markers on the geological histoy and importance of the area: the teachers in the group took the chance to critique the level of spelling and grammar displayed in the text. We were delighted to re-encounter the club scretary near the end - having been reunited with his keys , he had driven to Gelnarm and walked from there, a shorter distance but a more exerting climb. We made into into Glenarm into time for quick refreshment in a local inn and still enough time to get back to the cars in daylight. 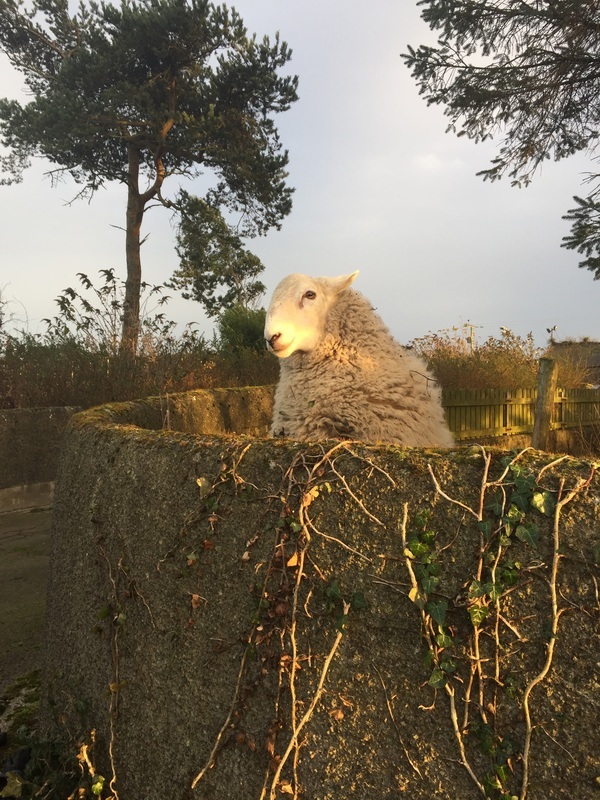 As for the attached photo - we encountered an inquisitive sheep propping up a garden wall near Glenarm! 16 Spartans left Meelmore Lodge and headed up the lane before contouring round Spellack towards our first tea-break at Bearnagh slabs. After the short rest we continued on up to the summit of Bearnagh where we had a nice relaxing lunch while enjoying the views. We watched the weather as it closed in a bit bringing with it an icy bite to the wind. Time for us to make our way down to Hares' Gap where we continued on up to the stile at Slievenaglogh. From there we headed back along the green lane and it wasn't long before we were enjoying a warming cuppa at Meelmore lodge. Thanks to Nigel for the atmospheric photos. 9 of us had a great walk along the coastline in the Dundrum area. We started along part of the old Co Down railway , (part of the Lecale Way), for a couple of miles, then round the edge of the Murlough Nature Reserve. We then walked along the beach for a couple of miles, turned inland over the sand dune system and back along the inner estuary. We were lucky to have the expertise of Richard and David W - there was such a variety of birdlife that we all learnt a lot, as well as lots of seals to be seen basking on the beach. The Bay cafe was closed, so we all trooped in to Tonn Ruray's pub for coffee. We were very impressed by the welcome they gave us - lovely open fire, very good tea and coffee and complimentary chocolate digestives and chocolate mints!! Will definitely be back. Eleven walkers set out on the walk on a bright but cool day. We walked to Tollymore and had a break before leaving the forest to ascend Slievenabrock. We made our way over to the wall to find a sheltered spot where we could lunch. We had good views down to Newcastle and further afield as we lunched. We then made our way across Slievenamaddy to reach the Glen river where we descended down to the Icehouse. We made our way along the outside of Donard woods to the quarry and down the Granite Trail and back along the forest track to finish. Eight Spartans turned up for the walk starting at the entrance to Dunnywater. We had a new walker out with us today, Sharon. The weather was just as the weather forecast had predicted, light rain over high ground. We set out and made our way up the lane to Long Seefin and followed the wall to the stile below Rocky where we stopped for a mid morning break at the stile. We were soon joined by a large church group from the Belfast area who appeared out of the mist, who also stopped for a break. We then navigated our way away from the wall towards Chimney Rock in the mist to locate the disused track that runs along the side of Chimney, and followed it to its end at a couple of ruins which was once used by the men who quarried the granite. From there on it was contouring on a bearing to reach the Mourne wall, which we did without any difficulty. Following the wall we reached the stile at Bog of Donard, where we stopped for lunch. It was misty in the high Mournes, so we decided to use the conditions to practice our navigational skills using map and compass. So we had to walk 300 metres to locate a path which is marked on the OS map and is supposed to join the Brandy Pad. something right for after a short while we descended into clear visibility and there strait in front of us was Hares Castle. ​ We stopped for a group photo and headed on down and across to the road inside Dunnywater which we walked back to our cars with the sun peeping in and out to end a walk which everyone enjoyed. At least that's what they told me . ha ha. I've included some photos of the walk. The early mist and chill that we met at Deer Meadow had disappeared by the time we all ascended to the top of Pigeon. We headed south from the wall along Pigeon Rock and had a break at some of the old quarry sites there with views over to Carlingford and Dundalk Bay. After which we continued in a similar direction until we reached the lower peak of Slievemageogh. A change of direction - west , brought us into the valley of Pigeon Rock River and we joined the path on the western side of the wall which brought us up towards the Windy Gap. Another sheltered spot was occupied for a second break. We still had a couple of ascents to make along the wall - Slieve Moughanmore and our second rendevous with Pegeon's top. ​ Our final descent back to Deers Meadow treated us to great views over Spelga - the autumn light on the surrounding hills was wonderful. James and Audrey had organised a fine walk and had kept us focused with good chat and candies. Most of us retired afterwards to Meelmore Lodge and admired the view over to Hares Gap with well deserved refreshments. Thanks to Audrey and James for a great day's walking. It was a beautiful September day with a clear sky and bright sunshine. After a little rest we ascended Slievemoughanmore and stopped at the summit for our first lunch break after which we descended to the Windy Gap and climbed to the summit of Eagle with views all around of both the eastern and western Mournes - all looking well with the September sunshine and shadows picking out the features of the hills. of Shanlieve and after another relaxing snack break we turned south east and followed the ridge of The Great Gully which led us back towards the start of our walk at Sandy Brae. A beautiful day in the Mournes with thanks to Rachel and David for the walk and the refreshments afterwards. Jo had organised a walk for the August Bank Holiday Saturday from Kilclief Castle to Ardglass - along the coastal route of the Lecale Way. The early cloud quickly burnt off to leave a most beautiful sunny day. We walked south from Kilclief with views of the entrance to Strangford Lough to our left. The way was dotted with geological features and old historic sites and holiday homes and occasional glimpse of the wildlife - mostly the seabirds that populate the shore at this time of year..
We lunched at Ballyhornan with Gunns Island just offshore and progressed passed Cloughan Head to eventually reach Ardglass and a welcome refreshment in a small café there. A wonderful walk enjoyed by all. As ever, David Flinn provided exceptional value for money on his Spartans walk of July 23. A party of 13 covered not just Binnian but Lamigan too, two of the 7x7 in one afternoon. With an eye to the weather forecast David had prudently switched from his original plan to do a walk in the Sperrins to head to the Mournes instead. ​And it proved to be a good call. Although there was a spot of rain at Clough on the way to Carrick Little, the low cloud covering the summit of Binnian obligingly cleared as we trekked our way up along the now well-defined path beside the wall. ​Indeed, thanks to the efforts of the Mourne Heritage Trust, the paths both up and down Binnian are well engineered and easily negotiated. Despite our blistering pace we were overtaken on the way up by two groups of young hikers but we consoled ourselves that we were going for stamina, not speed. 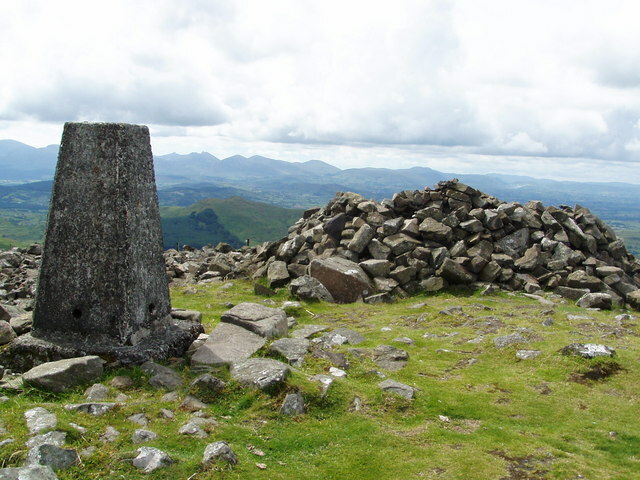 Lunch was partaken of at the summit, from where there were spectacular views down across Carlingford lough to the south, down across Ben Crom reservoir and over to Donard and Commedagh to the north. 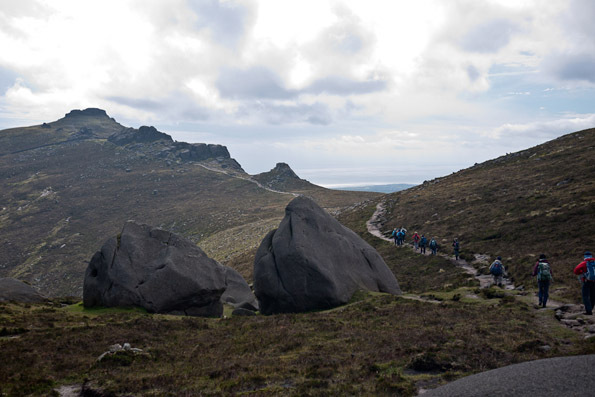 Binnian was relatively busy and we met several groups on both the ascent and descent,including one renegade Red Sox member who was on a fundraising walk with a group of work colleagues. ​ An unfamiliar bird cry was tentatively identified as that of a peregrine falcon, which some of our number spotted as it sped overhead. Down at the coll it was decision time and the majority opted to go with our leader of a short extension up Lamigan, which proved every bit as steep as we could remember. Still, after a couple of breathers we made the summit and were able to relax over a cuppa. ​ There we encountered a walker practising for the upcoming SRS 7x7 event on August 13. She was glad to meet the official Red Sox walk and was in fine fettle despite having covered most of the seven peaks already. the coll with Cove, turning right to return along the Annalong River valley and down by Annalong Wood. Back at the cars after a six-hour walk, tired but elated by all we had seen, and uplifted by the usual good chat on the way round. It had stayed dry and calm all day, with quite a few sunny spells. Thanks to David for his organisation and leadership. ​ On Saturday 9 July 22 Spartans gathered for the annual week long summer trip at the Tralee Bay Holiday Village (with adjoining Seven Hogs Bar and Restaurant) where we had taken 4 houses in this development close to Castlegregory, Co Kerry. The walk programme was ably led by Andrew Speer with Gerard O’Sullivan, who was visiting family close by, also leading a walk. Many thanks to both. Sunday was a very inclement day and there was no official walk. Much sport was watched including the Wimbledon Men’s and Euro 2016 finals and some outdoor activities taken by a brave few. The weather thankfully improved with a ‘mixed’ but bearable bag for the rest of the week which did not deter outdoor activities. Monday saw a group tackle a great walk in Glanteenassig forest including the Lough Cam boardwalk, a bit of a scramble up a waterfall and a detour to ‘Cuchullins House’ before returning by Beenoskee and Stradbally Mountain. On Tuesday the walk went from the Conor Pass to Clogharee Lough, detour along Clogharee River and around An Loch Geal before going to col and Ballysitteragh, Beennabrack and An Bhinn Dubh. views of the beach below were had on the decent and a stop at O’Connor’s Bar and Guesthouse in the village was our deserved post walk reward. Here we were regaled with tales of WW2 plane crashes on Brandon by the informative barman. A large contingent also went to the Blaskets on this day. A large group tackled Ballymacadoyle Hill and tower overlooking Dingle Harbour on Thursday. We caught a glimpse of Fungi being pursued by sightseeing boats in the bay below. An enjoyable afternoon in Dingle followed. On Friday a group took an easy beach walk along the Dingle Way from Aughacasla to Camp, most returning by the same route. There was free time on several afternoons and those opting out of walks on some days headed off for various activities including cycling, sightseeing and shopping. The final night saw the usual night off cooking with an excellent meal enjoyed at the Pisces Restaurant in Castlegregory. As always, we ate like kings all week - many thanks to all who contributed to buying food, cooking, washing up etc. No responsibility can be taken for any increase in waistlines!! David & Rachel had organised the Glendale Cottages in Laragh for our weekend stay in the area. Accommodation that the Spartans have used on many previous trips. The weather for the entire weekend was of glorious sunshine for most of the time. The countryside looked beautiful with fresh Spring wild flowers everywhere and the call of birds abounding including that of the cuckoo. For our Saturday walk, we parked along the Military Road at 138088 and walked south east to the heights above Loch Te and on to the Cloghoge River valley to where it runs into Lough Dan where we enjoyed a wonderful sunny lunch break. We crossed the Inchavole River and ascended the hills to the south from where we could see the waterfall car park and the end of that day's walk. time ascending south west to reach the top of Tonelagee and descending to the Wicklow Gap. ​ After lunch by Lough Nahagan we ascended south to Sevenchurches or Camaderry - following the south easterly ridge that descended into Glendalough. We enjoyed welcome refreshments in The Glendalough Hotel before returning back to our accommodation. Our Sunday was completed by a lovely meal in The Wicklow Heather in Laragh. On our return route home on Monday - we detoured to Greystone and walked The Cliff Walk to Bray and returned by Dart Transit to our starting point. ​Thank you to Rachel and David for arranging it all for us. 4 showed up for a hastily convened Mournes walk, filling a gap in the calendar. We went from Rourkes park through a charming river valley following an old farm track passed cottages, some restored, some ruined. The rain and wind kicked in as we left the last field boundary and pushed against us as we climbed over Spences mountain to Chimney Rock summit. There Robin pointed out the memorial to those who ied in a WW2 plane crash. We found shelter and devoured lunch before hammering across to the wall - meeting a DofE expedition group on their first adventure - and hence back promptly via long and round seefin to the car, comfort and cafe. A brisk day out, one to appreciate light warm and dry gear and a route to be repeated in sunnier times. Jim and Joan had organised a weekend of walking in South Donegal and had booked self-catering accommodation in Ardara. The views from the house were enough to entice anyone outside - with hills and sea in close proximity. The walk on Saturday was a circular walk on Slieve League and the bright day meant that there were clear views all around. On Sunday the walk was from a quarry above Maghera to the top of Slieve Toohey - another wonderful circular walk. The weather began to deteriorated though and the second part of the walk was quite wet and slippery. Ardara was having a music festival for the weekend and all the hostelries were buzzing and filled with musicians and revellers. We dined on Sunday evening at Nesbitt's Hotel. On our return home on Monday - we completed a short walk to St John Point near Dunkineeley. A Big Thank you to Jim and Joan for a wonderful weekend of craic and walking. The walkers met at Deers Meadow Car Park at 10.30 to be transferred by minibus to the start of the walk at the Game Keepers Lodge. The group of 17 walked along Banns Road to Lough Shannagh where we enjoyed first lunch on the shore of the lough. From there it was a short walk to Doan mountain. The views from the summit were so good that an unscheduled stop for tea and photos was very compelling and was appreciated by all concerned. From Doan we walked across to the wall between Slieve Loughshannagh and Carn where we stopped for our main lunch break. After lunch we climbed Carn and commenced the ascent of Muck. From the top we could already see our parked cars in the distance, although they looked like matchbox models from there. sunshine. The distance was 12 k.
Some went one way and others kept going but we all managed to finish back at a car after a great day out. Frank had organised for a group of Spartans to travel to Aviemore this Easter and participate in some walks in the Cairngorm range. He had booked the very pleasant Badaguish Activity Centre Chalets - a few miles out of Aviemore on the way to Glenmore. We flew to Edinburgh and hired cars there for the journey. We were blessed with good walking weather for most of the week and began with a walk along the Meall a'Bhuachaille - Craiggowrie ridge. We visited the Ryvoan Bothy on the way before our initial ascent. ​ Our next walk was a snowy and icy ascent of Cairn Gorm summit (1244m) via Cnap Coire na Spreidhe. For some of us - our first experience with crampons and white outs !! We descended by the Ptarmigan ski station to the car park below. Next day we walked the environs of Loch Morlich and the following day we cycled from Aviemore to Boat of Garten and Carnbridge. Plenty of good cycling routes to experience here. take us to the misty top of Ben Macdui (1309m) - second highest peak in UK. The presence of mist and snow produced white out conditions that made the navigation to the peak demanding. ​the car park. A long and enjoyable day enjoyed by all. We were ready on our last day to take things a little easier, so we visited the town of Inverness and in the evening we all dined at a local Italian Restaurant in Aviemore. All agreed that Frank had organised a fantastic week with super accommodation and great walks in an interesting area that offers a lot of activities - Frank even got to ski for a day. Everybody chipped in with meals etc and as usual the craic was ninety. Thanks to Frank and to everyone for making the week such a brilliant success. The day was bright and clear with blue skies and little cloud at first. There was a cool northerly wind that underlined that Winter had not entirely lost it's grip. As we left Carrick Little car park and entered the environs of the Annalong Valley - we could see snow on the tops of all the high summits. We walked under the flanks of Percy Bysshe and along old miner's paths until we came to Lower Cove and ascended to it's shoulder. As we climbed to the saddle between Lamagan and Cove we had to find solid footing on the deep snow that had drifted into the depressions of the path. The final ascent to Lamagan was wonderful - with a 360 degree view of the Eastern Mournes with the snowy peaks and small snow showers sailing over the sea - The Isle of Man and Cumbria in the distance. After a lunch on top and a last look at the spectacle we descended gingerly through the snow to reach the col with Binnian and a return to the car park. Some of us enjoyed coffee afterwards in Nicks Cafe at Donard car park in Newcastle. headed across the heather and rough tracks, with the odd barbed wire fence thrown in], till eventually we reached the remains of an old building abandoned by a German mining company just before WW2. Could there be stolen Nazi treasure buried around here? It was just so pleasant as we sat in the early spring sunshine having yet another Spartan lunch and Sammy explaining the workings of his new amazing watch. The last section of the walk took us to a hill high above Carnlough with glorious views out to sea, then down a steep farm track back into the village, the horseshoe completed!! Big thanks to Jim and Joan for inviting the hungry hordes back to their house to be fed, watered and entertained by the big match,a brill end to what was a great days hiking. ​The weather was much brighter and not as cold as the forecasts had indicated. As we gathered at Ballyboley Forest there was a little hint of Spring in the air. to our meeting point. David organised the seven walkers into cars and we drove to the start of the walk at Knock Dhu above Cairn Castle. ​ We had our lunch and continued on to Shane's Hill and our meeting point earlier in the morning - Ballybogey Forest. A very pleasant walk was enjoyed by all. Thank you David. 9 Spartans gathered on a wet and windy day to climb Slieve Croob. I was surprised so many gathered on such a day .We duly climbed Slieve Croob but returned to our cars for sandwiches before an onward trek past legannaney dolmen to windy gap. The weather improved marginally in the afternoon. We retired to the newly opened coffee shop ( the turnip house) near Leitrim village for a welcome cup of tea afterwards. It was a cold icy climb up to the wall from Bloody Bridge on Saturday, but Marion, Nonie, Barbara, Ed and myself soon warmed up by the time we reached the shelter at the quarry and enjoyed a quick tea break,much to cold to hang around!! As we approached the top, the freezing wind blew with incredible force, thank goodness for the shelter at the wall. We all enjoyed the next bit, with the wind on our backs we where all blown up to the ridge near Chimney Rock with little exertion required!! ​ After a very quick lunch we staggered along to the summit of Chimney rock, then descended down the back and a bit of welcomed shelter from that wind. It was a pleasant walk now in light snow back down to meet the path again and back to the car park at Bloody Bridge. We all agreed it had been a exhilarating, yet very enjoyable walk!! Even more exhilarating and enjoyable was the apple and custard crumble we had at the Harbour Bar. Thanks to all for a memorable days walking. He who hesitates is lost, but that was not the case with the Red Sox Saturday walk on January 9. Having driven through torrential rain and along flooded roads to find that it was still wet at Newcastle, the 14 participants unanimously agreed to defer our 10.30am departure from Donard Park. Instead, we made a beeline for Nikki's Cafe for elevenses. There we enjoyed coffee and scones and good chat while the promised clearance was awaited. And by 11.30am the yr.no prediction had come true. The skies had indeed cleared, the rain had stopped and we were back out collecting our backpacks and sticks from the cars and ready for the off. And heavens above, the rest of the day stayed dry and calm - with even the occasional sunny spell and not that chilly. ​this had the benefit of opening up the landscape for us. falling light, we met a couple and their dog who were heading up towards the wall - we just hope they had torches! ​ The Glen River itself was looking superb, with a torrent of water tumbling down over the rocks and quite a roar of noise at places. On down we went, past a school group and back to Donard Park for around 4.10pm, just in time for a well deserved cuppa back in the cafe. Our seven-mile walk had been full of interest and as Sammy said, it was great to get the legs working again after the Christmas break. Thanks to Sammy for organising.